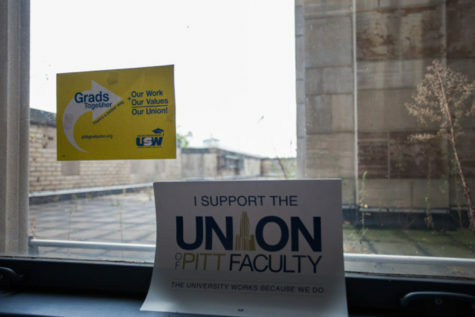 Pitt is one of the greenest colleges in the U.S., according to a new Princeton Review rating, but some student activists are still not satisfied. At the end of April, Pitt completed its first-ever Year of Sustainability, an initiative Provost Patricia Beeson established for the 2014-15 academic year to increase Pitt’s commitment to environmental sustainability. Administrators said the project was a success, but some students, like the members of environmental club Free the Planet, said its scope was too limited. Now, the Princeton Review has included Pitt in its 2015 Guide to 353 Green Colleges, which it published on April 16, and FTP members’ attitudes have not changed. Since the Guide came out, FTP has reiterated its opinion that while the Year of Sustainability made Pitt conscious of sustainability, it didn’t do enough to actually reduce the University’s environmental impact. 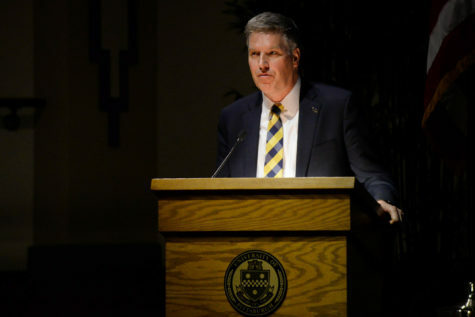 In an open letter it delivered to Pitt administrators on April 6 and later published to its Facebook page, FTP expressed disappointment with the Year of Sustainability’s limited efforts and said Pitt made no changes to its energy and water consumption, its stormwater management or its infrastructure as part of the initiative. Amidst these complaints, Pitt spokesperson John Fedele urges students to realize that this year’s progress should not define the University’s efforts to become more sustainable. “The Year of Sustainability was a success, but it doesn’t mean that our sustainability efforts have stopped, nor does it indicate that our sustainability efforts began that year,” Fedele said in an email. Claire Matway, former FTP co-president, said that as it was intended, the Year of Sustainability was a good idea. “Introducing sustainability into the academic conversation, centering discourse around sustainability, hiring faculty, creating courses — all very good things,” Matway, a senior urban studies major, said. But FTP had expected more out of the Year of Sustainability, it said in its letter. “The administration’s approach … has primarily emphasized academic programs rather than meaningful reductions in our own institution’s environmental footprint,” Free the Planet wrote. 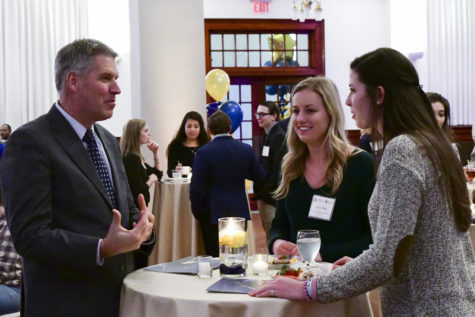 However, Fedele said the Year of Sustainability’s programs and initiatives represent just a fraction of Pitt’s overall commitment to sustainability. “Free the Planet is mistaking the Provost’s initiative — which was specifically for academic and research projects — with the totality of the University’s efforts,” Fedele wrote in an email. When creating the Guide to 353 Green Colleges, The Princeton Review staff surveyed college administrators about their schools’ environmental programs and strategies. Then, they converted this data into a “green rating” between 60 and 99. Schools with green ratings of 83 or higher made it into the Guide. According to its Princetonreview.com profile, Pitt’s main campus has a green rating of 90 out of a possible score of 99. David Soto, a spokesperson for The Princeton Review, praised Pitt’s commitment to sustainability. 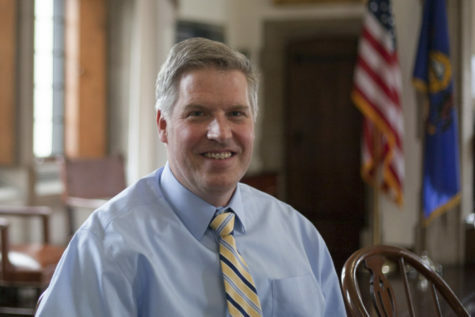 He was particularly impressed by Pitt’s efforts to divert 42 percent of its waste from landfills, to spend 10 to 15 percent of its food budget on local and organic food and to ensure that new construction projects are LEED-certified. “It’s a very select group of schools that make it into the Guide,” Soto said. 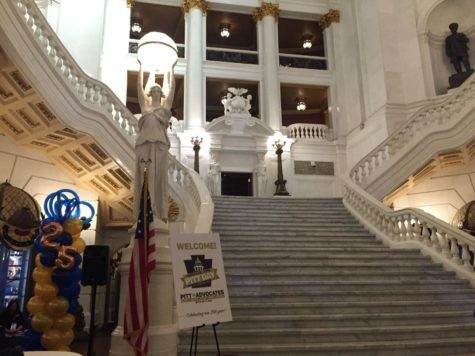 Pitt does have a plan, though, according to Fedele. Both Facilities Management, which is in charge of operating the buildings on campus, and the Mascaro Center for Sustainable Innovation, which conducts environmental research, are currently leading multiple sustainability projects, Fedele said. “There’s sustainability up and down the University,” Fedele said. During the Year of Sustainability, Pitt granted funding to students and faculty to support sustainability-related lectures and events, asked members of the Pitt community to contribute their ideas for greening Pitt’s campus and created the Student Office of Sustainability to connect student groups involved in sustainability issues. Also in 2014, to celebrate the tenth anniversary of Pitt’s Mascaro Center for Sustainable Innovation, Pitt administrators invested $37.5 million in support of sustainability research. Nick Goodfellow, a former FTP board member, said while Pitt’s creation of the Student Office of Sustainability and the position of Sustainability Coordinator is a good start, it’s not enough to accomplish a real change. A department of administrators would have been better, he said. “We really want to see the University hire the necessary staff — a department or a team that focuses on sustainability,” Goodfellow, a senior communication and urban studies major, said. 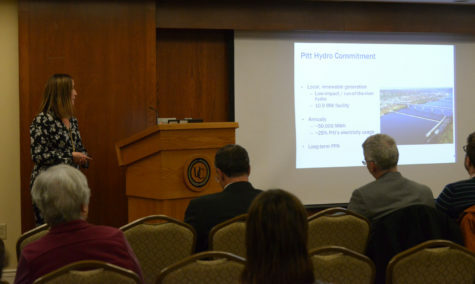 Fedele declined to comment further on Pitt’s sustainability efforts. 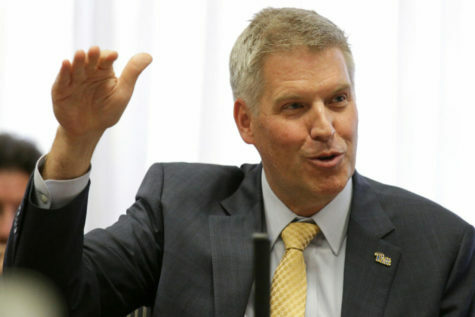 Matway, along with Goodfellow, hopes that Pitt will make the changes that could increase its green rating even further.